Gene Ardor (electric guitar) is an actor, musician and craftsmen. He holds a Theater Arts degree from Stony Brook and is a long time member of The Living Theatre. Gene has been obsessed with the amplified electric guitar since 1974. Currently he is developing a set of visual reference tools relating music theory to the fretboard. Gene also mods his guitars, amps and pedal electronics. His plan is to build dream guitar from scratch. 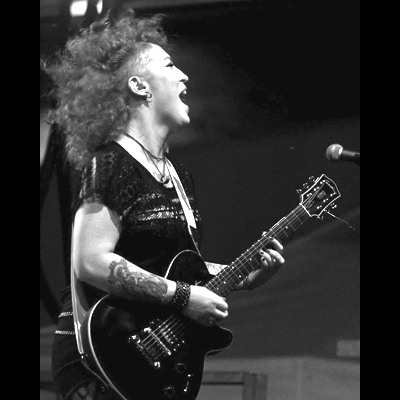 Angela Babin (electric guitar) has been performing live since she was 13 years old in crazy diverse venues from Folk City and CBGBs to BAM, as well as festival gigs across the USA, Canada and Europe. Angela entered the downtown New York music scene playing with Off Beach and the Ordinaires while she was a teenager, and has played guitar, bass, ukulele, and tres, on recordings for several musical projects and a motley assortment of bands. Currently, Angela is working on her Telephone Diary compositions, playing guitar with a couple of rock and pop bands, and working on some music and word collaborations. 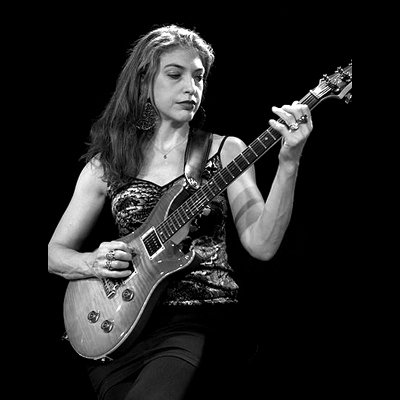 Aileen Bunch (electric guitar) is a professional musician from the Philadelphia area. A board certified music therapist and music educator, Aileen is a multi instrumentalist, and plays numerous keyboard, woodwind, string, and percussion instruments fluently. She earned her bachelors of music (piano and music therapy) from Temple University and completed her master studies in Music therapy at New York University. 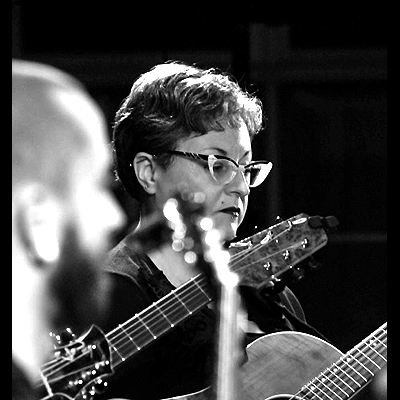 For more than 22 years she has been on the faculty of Settlement Music School in Philadelphia, and has performed near and far both solo and with Tiny Orchestral Moments, The Orchestra of Crafty Guitarists and Tilted Axes. 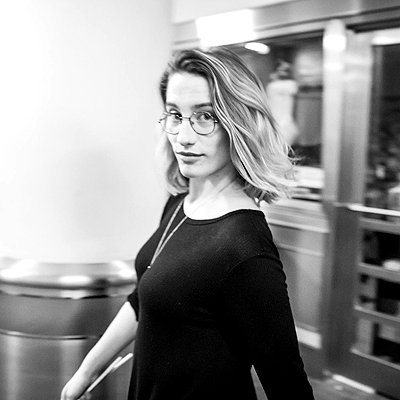 Caitlin Cawley (percussion) is a NYC-based percussionist, improviser, and chamber musician. She has performed with groups through Boston and New York, such as Talujon, Novus NY, Black Sheep Contemporary Ensemble, Amalgama Ensemble, Saman Samadi Quintet, and Danse Theatre Surreality. She has also participated in improvisation residencies at Gallery 263 (Cambridge, MA) and The Cannery (Penobscot, MN). 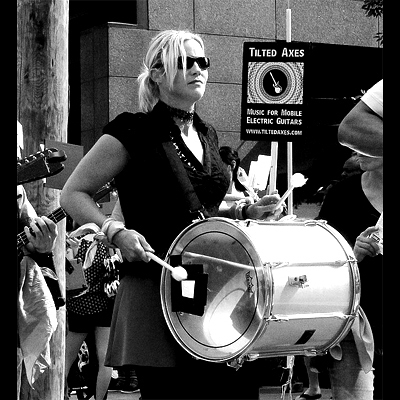 As an educator, she performs and facilitates workshops with Bash The Trash Environmental Arts, and has taught group percussion lessons through the Manhattan School of Music Outreach Department, Bridge Arts Ensemble, and Kadence Arts in Jamaica Plain, MA. 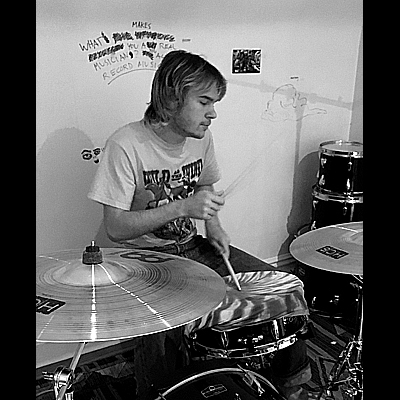 Jon Clancy (percussion) is a multi-instrumental performer, improvisor, sound artist/engineer, and active freelancer based in New York City. They are entering their final semester in the Manhattan School of Music’s graduate Contemporary Performance program. 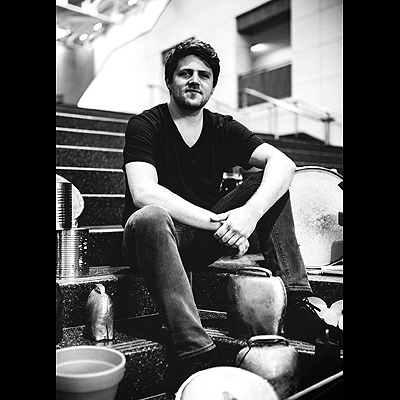 An avid collaborator with performers, composers, and sound artists from across the globe, Jon has premiered nearly 70 works for or involving percussion. This summer, as half of the multidisciplinary voice & percussion duo, panSonus, they will be holding residencies at the Queensland Conservatory, Piano Mill, and Tyalgum Festival in Brisbane, Australia. Next year, Jon will be appearing on releases from Innova and New World Records. 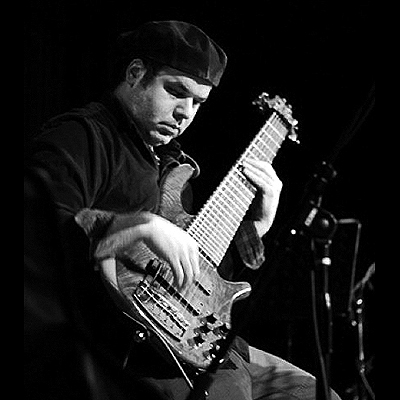 Dan Cooper (electric bass) was born and raised in Manhattan, and educated at Columbia, NEC, and Princeton. The recipient of an Aaron Copland Fellowship to Tanglewood, he has received awards, commissions, residencies, and premieres from Albany Symphony, ASCAP, Cary Trust, Engine 27, Fontainebleau, Imani Winds, NARAS, NEA, North River Music, NYNME, NYYS, and Shakespeare & Company. As a multi-instrumentalist, he has performed at venues including Royal Albert Hall, Sydney Opera House, Berlin Philharmonic, Town Hall, Bunkamura Orchard Hall, The Blue Note, CBGB, Joe’s Pub, and LPR. 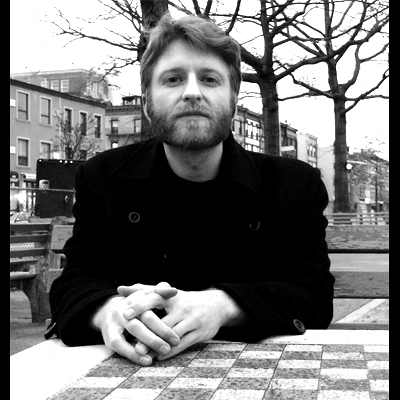 Cooper is a music professor at SUNY-FIT, and a co-director of Composers Concordance. 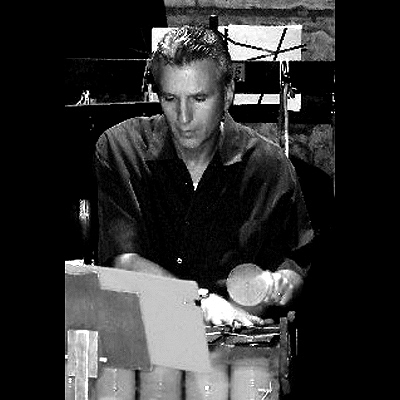 David Demnitz (electric guitar) received a Mary Cary Flagler Charitable Trust grant for production of his CD Gamelan As A Second Language (GSOL2, 1999) Demnitz’s four movement indictment of the Iraqi War, Operation Iraqi Liberation (O. I. L.) for gamelan and string quartet, can be heard on YouTube. Demnitz worked for 25 years as a music instructor at residential treatment centers in Westchester County. He currently is the director of Gamelan Son of Lion and the musical director of the On the Go Cabaret at the Association of Black Social Workers’ Senior Center and the center’s choir. Michael Fisher (electric guitar) is a multi-instrumental performer and composer from Los Angeles, residing in St. Pete FL. A longtime guitarist, he attended Guitar Craft Level 1 in Argentina in 1996, and has participated in several other GC-related courses and performance events. In 2018 Michael released 2 albums and an EP of his own tuneful, textured electronic music, as well as an ambient album with Reef Project. He is a regular presence on acoustic guitar and harmonica in the Tampa/St. Pete open mic scene. Jocelyn Gonzales (associate producer) is Executive Producer of the Peabody Award-winning radio show and podcast, Studio 360 from PRI/PRX and Slate. 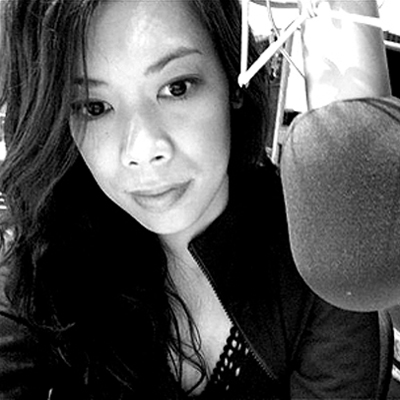 She’s a producer, engineer, and editor for public radio, audio publishing and podcasting. At The NY Times, she produced the weekly Popcast, Book Review, and Times Insider podcasts. She produced The Mash-Up Americans podcast at American Public Media, the science and medicine podcast Signal, and she is a sound designer for How It Is, a podcast from Hello Sunshine. 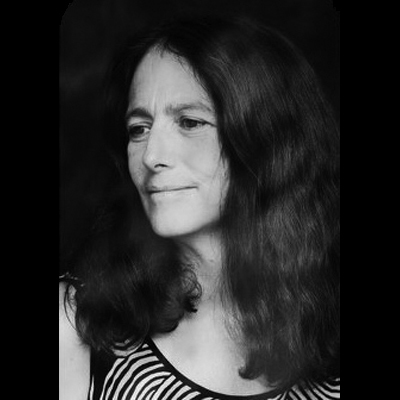 She taught sound design for film, TV and new media at NYU’s Tisch School of the Arts for nearly 14 years. 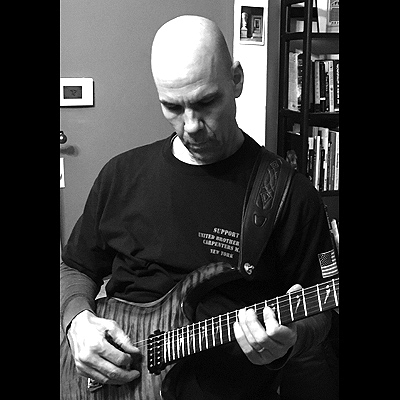 Patrick Grant (electric guitar) is a composer living and working in New York City. His works are a synthesis of classical, popular, and world musical styles that have found place in concert halls, film, theater, dance, and visual media internationally. His music moves from post-rock and classically bent post-minimal styles, through Balinese-inspired gamelan and microtonality, to ambient, electronic soundscapes involving many layers of acoustic and electronically amplified instruments. He is the creator of International Strange Music Day (August 24) and is the inventor of the electric guitar procession. 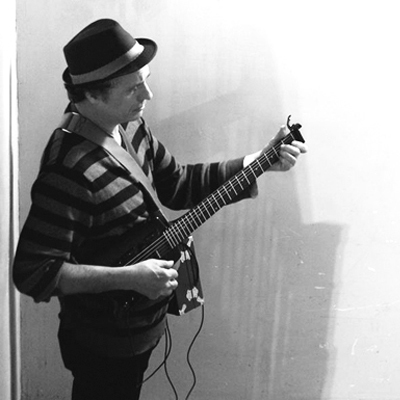 John Halo (electric guitar) was born in Brooklyn in the mid-eighties. 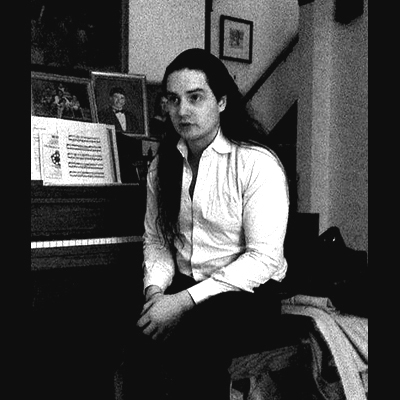 He did his undergraduate work in Music Theory at The Macaulay Honors College @ Hunter College and his graduate work in Composition of Modern & Contemporary Classical Music at The Aaron Copland School of Music @ Queens College. 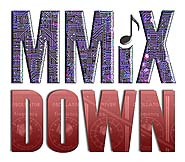 A multi-instrumentalist and vocalist, he’s currently performing in NYC as a member of three groups: Downtown Equipment, Rinse, & Bob of The Shirts. Halo is music and mathematics teacher at Brooklyn’s Neighborhood Improvement Association (NIA) in South Brooklyn. Adam Levin (electric guitar) is a multi-instrumental musician, composer and producer. Over the years his instrumental obsession expanded to many other things with many strings. From 1997 to 2002 he led the Progressive/Fusion/Rock group The Dark Aether Project, releasing three critically acclaimed albums and touring extensively. 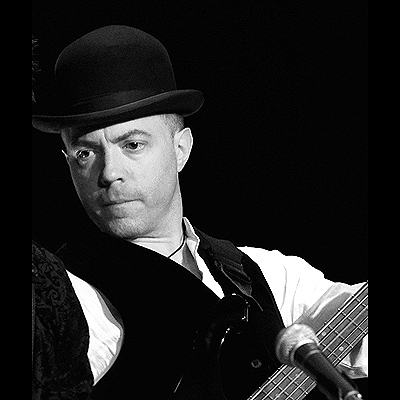 Since 1995 he has been a student of Guitar Craft and performed on two tours with Robert Fripp and the Orchestra of Crafty Guitarists. Adam recently returned to life in the US after a few years living in Australia scaring the neighborhood kangaroo mob with his musical antics. John Lovaas (electric guitar) John’s interest in guitar began in 1978; playing became practice in 2007, after his first Guitar Craft course. He participated in Guitar Craft and Guitar projects in the United States, Mexico, Argentina, Spain, and Italy. He lives and works in Woodstock, Illinois. Lily Maase (electric guitar) is a performer, composer, and educator living and working in New Mexico and NYC. She is the daughter of legendary session guitarist & educator Steve Maase, holds a degree in jazz guitar performance from the University of North Texas, and was a 2017 composer-in-residence at Spark & Echo Arts. 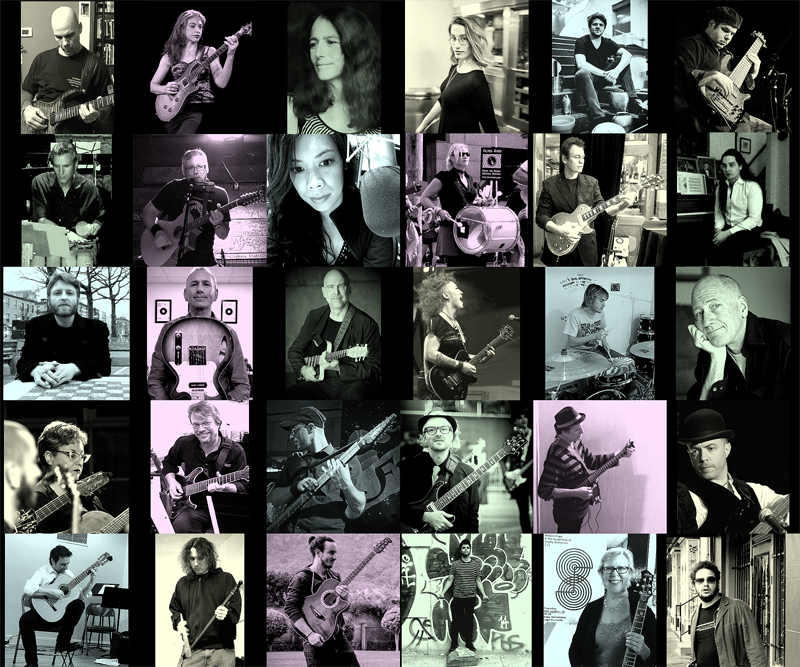 Lily is a contributing writer for Premier Guitar Magazine and has contributed to Guitar World and Guitar World’s Acoustic Nation, who lauded her as a “master guitar teacher.” She is founder and owner of GuitarWorks International, a worldwide resource for emerging guitarists with headquarters in Albuquerque and New York. 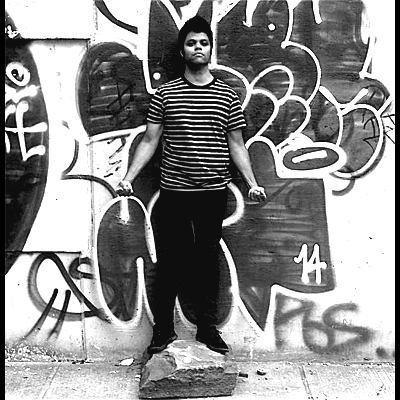 Sky Matthews (percussion) is a songwriter, multi-instrumentalist, recording artist living in Brooklyn NY. He is interested in performing live music with bands and groups and is excited to be a part of the Cold Moon Consort event. He is currently in the process of recording his second solo album. 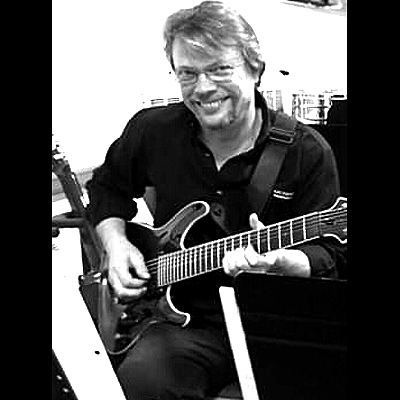 Robert Morton (electric guitar) moved from California to New York in 2007 after teaching elementary school for 33 years. Soon after his arrival, Bob joined the composer-driven performance group Concrete Timbre where he creates contextual settings with photography, video, and interactive projections for live performances. 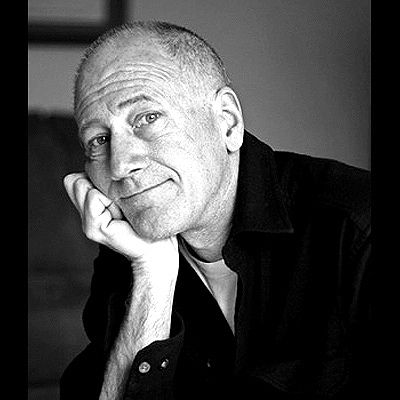 His photographs have been published in several books, publications, and internet sites. Bob bought his first electric guitar a quarter-century ago. He bends a guitar string every now and then, his interest being revived while taking lessons with his son. He is a big fan of Jimmy Thackery, Richard Thomson, and Jerry Garcia. Jason Napier (electric guitar) has been playing some form of stringed instrument since the 1970s. 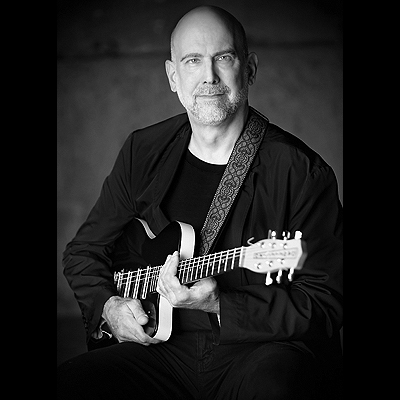 Starting with guitar and bass in high school, he has played in New Wave, Progressive Rock, Country, Jazz, Blues, and Classic Rock bands, as well as community theatre orchestra pits and symphony orchestras. Along the way, he acquired skills on violin, cello, double bass, mandolin and ukulele. He currently works as a music teacher for a school in Metuchen, NJ, as well as making props for Broadway. 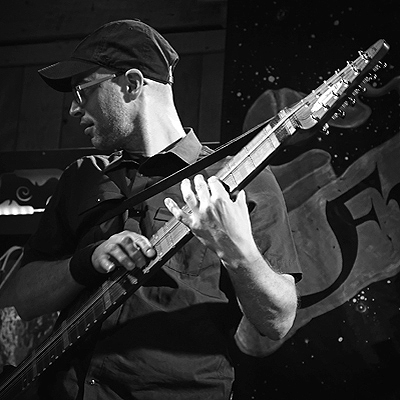 Jeremy Nesse (Chapman Stick) is a Manhattan-based multi instrumentalist specializing on Chapman Stick, bass, and all tones of the low end. He collaborates in touch instrument circles and musical projects across America. His eclectic musical interests are far-ranging and deep — from the interlocking precision of music termed “progressive,” to rock, jazz and funk. 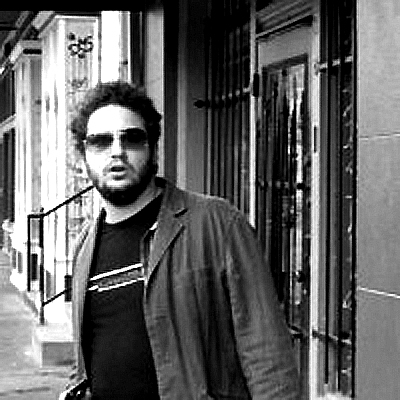 Chad Ossman (electric guitar) is a UX/UI Designer in New York City. 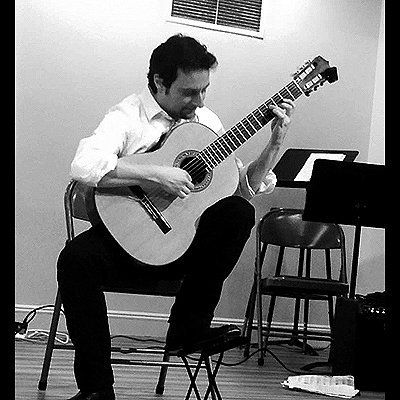 He has participated in the (late) New York Guitar Circle and two Tilted Axes events. 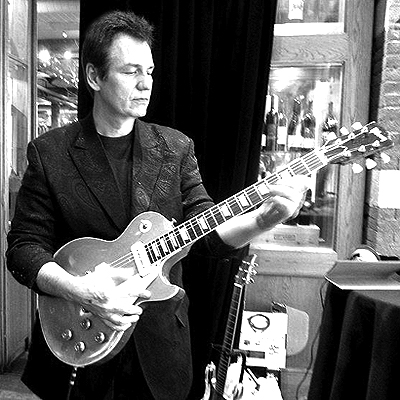 Reinaldo Perez (electric guitar) is a native New Yorker with an active interest in guitar for over 35 years. He has played guitar with Tilted Axes, NYC Guitar Circle, Chapter One and The League of Crafty Guitarists. 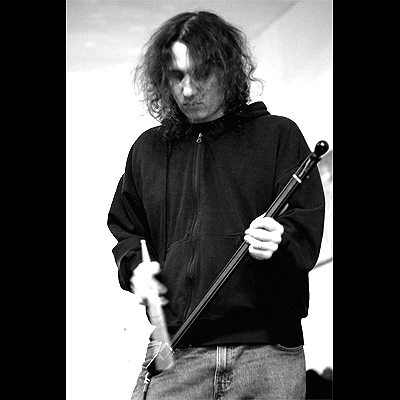 He studied for a number of years in Guitar Craft starting in 1986 and has also studied at Harvestworks NYC. He is currently working on a solo guitar synth recording project. Kevin Pfeiffer (electric guitar) is a Maryland native who has been playing bass guitar for what; about 34 years now…?, guitar secondarily one year less than that, and mandola for about the past 12 years, occasionally writing and singing inamidsts. 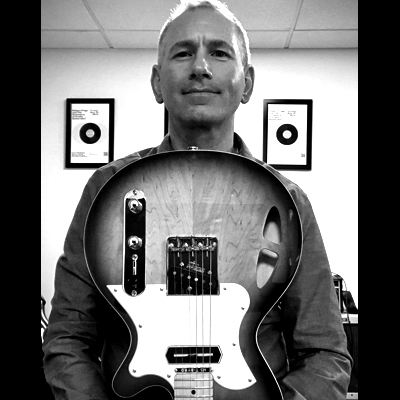 Since moving to NYC in 2001, he participated in Robert Fripp’s Guitar Craft courses, the New York Guitar Circle, The Yorktown Guitar Project/Trio, and the Tilted Axes Halloween ’15 and ’16 processions. Kevin currently plays bass in his original band Mayday! and the Led Zeppelin tribute band “Bustling Hedgerow” at various venues in the NYC area. Octavio Salas (AAD) is a musician from Mexico City. He began to play the guitar at the age of 15 and at 18 began to study music professionally, finishing school at 23. 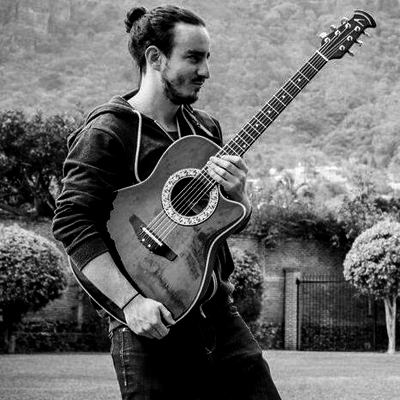 He took his first Guitar Craft/Guitar Circle course in Morelos, Tepoztlan, Mexico in 2013 and that work continues currently in a number of different projects. Sean Satin (electric guitar) began formal training under Jorge Morel. Shortly after, he was accepted into the Manhattan School of Music where he earned a B.M. in Classical Guitar Performance. While there, he studied with Oren Fader and Mark Delpriora. He also played in master classes for Eliot Fisk, Eduardo Fernandez, David Starobin, and James Smith. Sean later went on to earn an M.A. from Teachers College, Columbia University, where he is pursuing post-graduate studies. He has performed throughout New York including a concert at Lincoln Center’s Alice Tully Hall. 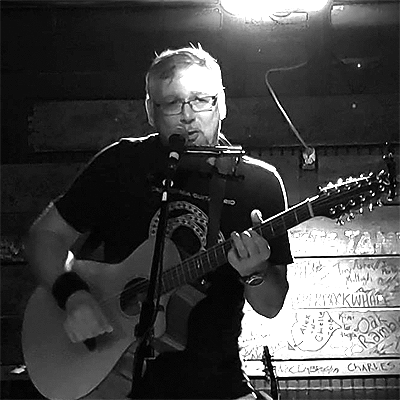 Sean performs extensively in a wide variety of musical styles from classical to rock. Sarah Metivier Schadt (electric bass) is a multi-instrumentalist and soprano who splits her time between Tilted Axes, the League of Guitarists, several church choirs, and the Berlin Guitar Ensemble. During the rare times she’s not traveling for workshops, rehearsals, and gigs, Sarah lives and gardens in far northern Illinois with her husband and two cats. Harry Scott (stage manager) has participated in Tilted Axes as a performer and behind the scenes since 2013. Either on the Slapparoo, Jambe, or holding a sign/clipboard Harry has been working with the group since the infamous Alamo Tilt. He has been parading with military bands since high school and preformed with jazz greats such as Curtis Fuller, Frank Wess, and Hank Jones on trombone. When not circumambulating the village with a gathering of guitarists, he is a school chef for special needs children. 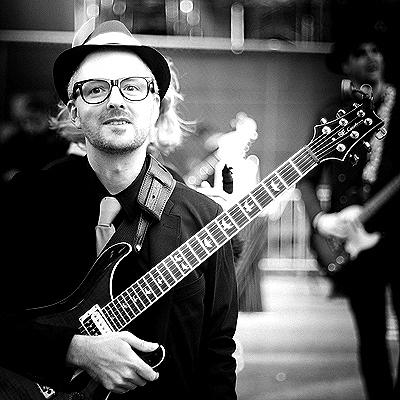 Dylan Sparrow (electric guitar) is a New York City-based composer and performer. He fronted something called Giggle the Ozone for a long time. He has more recently started an exciting new thing, but he’s keeping that a secret for now. His music contains elements of country & western, stage & screen, and rock n’ roll, and is fueled by a commitment to nuanced social critique. In addition to being a musician, Dylan is an experienced Illustrator and writer. You can check it all out at www.dylansparrow.com. Leslie Stevens (electric guitar) performed in Tilted Axes’ 2013 MMNY performance and supported both Tilted Axes’ Village Halloween Parade appearances (2015/2016). 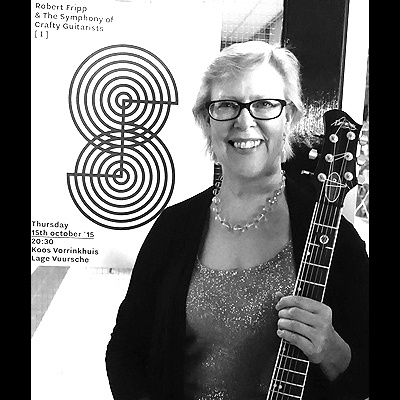 She was part of the Robert Fripp Guitar Craft work since 1998, and toured with 60 guitarists to sold-out Orchestra of Crafty Guitarists shows in the US and Europe. Sam Weisberg (electric guitar) is a guitarist/singer/songwriter in the new multi-genre group The Allegations, and has performed with the bands Giggle the Ozone, Calotype and The Isles. He fronted the sludge rock band Worst Case Ontario, which performed at such showcases as SXSW. He is an avid movie watcher, with a site about hard to find flicks called Hidden Films, and a steady freelance film reviewing gig at The Village Voice.